As a NH Motorcycle Attorney and avid motorcycle rider, I know first -hand the dangers inherent in riding motorcycles. I have not only witnesses, but have experienced the havoc caused by inattentive motorists who drive as if they own the road. Fortunately, I have never sustained any real injury (knock-on-wood). At Tenn And Tenn, PA., we have represented injured NH motorcyclists for more than 20 years and are keenly aware of the costs of medical care. The National Highway Safety Administration commissioned a study to examine the costs associated with lower extremity injuries from motorcycle collisions. Some of the significant findings are below. The National Trauma Data Bank-National Sample Program (NTDB-NSP) information from 2003 through 2005 was used to identify the type of lower-extremity injuries, hospital charges, and discharge dispositions for motorcyclists who sustained lower-extremity injuries. After examining data from 1997 to 2006, there is an estimated 61 percent increase in the number of motorcycle crashes in 2006 compared to 1997. 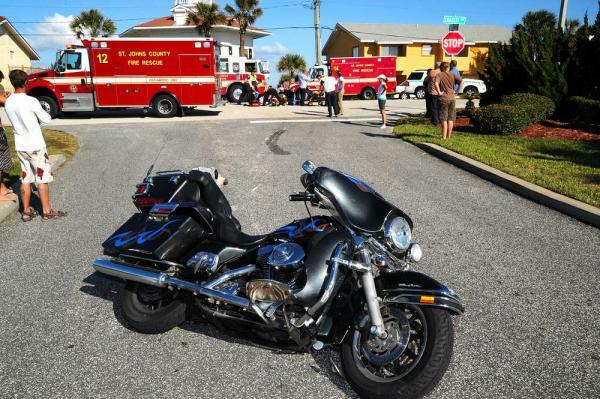 Motorcycle crash fatalities increased from 2,028 in 1997 to 4,654 in 2006, accounting for a 129-percent increase. Most incapacitating and fatal injuries were sustained when the initial point of impact was the front of the motorcycle. Lower-extremity injuries are more frequent in motorcycle crashes; however, head, chest and abdominal injuries tend to be more severe. Motorcyclists involved in crashes sustain more leg injuries with bone fractures being the most common type of injuries.